As Aston Villa embark on a new life in Division 2, it's time we tweaked the badge, eh? 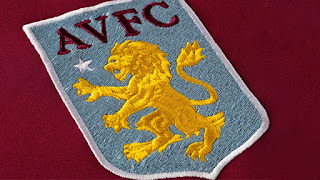 Yep, lob the "Prepared" in Rennie McIntosh-font-for-no-reason-at-all off the bottom (as Villa have been ill-prepared for at least six years) and lumber on with the colours of Manchester City instead. Villa have reportedly spent £80,000 on removing Prepared, sticking high-res claws on the lion - and we've been laughed at on talkSPORT. We look like a ship of fools. It's in sky blue so the claret of the shirt is required to give it context. Trouble is, our colours aren't blue and claret - they're claret and blue. 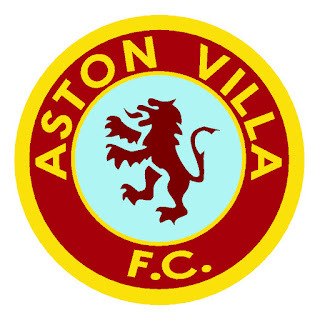 It was under the stewardship of Richard Fitzgerald as CEO when this half-baked badge first appeared. I challenged him once about how inappropriate it was - and why the iconic round badge was shelved - and he passed the buck, telling me it wasn't his idea. Yet it was on his watch. There's no recourse to history. The lack of boardroom continuity results in these sort of decisions. No, there really is only one badge that should be used and it's the one of Peter Withe, Brian Little, Gary Shaw, Andy Gray, Sid Cowans - even Keith Leonard and Charlie Aitken. Of Rotterdam. Of Highbury. Of Penarol. Stick a European Cup star discreetly above this. Some might say, it's the guys performing under the shirts that count. That this doesn't matter. To those, I say yes, but you've heard of playing for the shirt, playing for the badge? We have enough history in the locker to go back in time. Sometimes that's the only solution. We might've spent considerably less than £2m and stuck a European Cup star above the famous badge instead. But now let's bloody well get on with promotion.